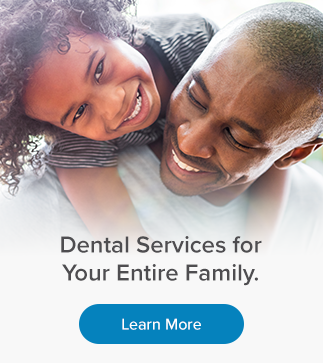 If you are considering replacing a missing tooth, our family dentists at RV Dental in Thornhill can assist you with your dental implant needs. One of the most effective long term solutions to missing or teeth damaged beyond repair are dental implants. Simplified, an implant is an artificial root which is placed in the bone of your jaw. Implants can be used to replace a single tooth, multiple teeth or an entire arch. Dental implants are effective because they provide comfort and function just like your real teeth. You may even be able to throw away your denture. A dental implant is an artificial tooth root made of titanium that is surgically anchored to your jaw to hold a replacement tooth or bridge in place. Implants are fused into your jawbone, and do not rely on neighboring teeth for support. Once the titanium root is placed into your bone, your dentist will allow for the tissue and bone to fuse and heal around the implant. Then a dental crown can be attached to the root, restoring your smile. The success of your implant depends on how quickly you heal as well. Once the implant has healed by fusing to the bone, your dentist can create a replacement restoration that is attached to your implant that acts and looks like your natural tooth. Implants are not just for missing teeth. Sometimes, weak or failing teeth may need to be replaced. A dental implant can help support a healthy smile. Since implants rely on adequate bone structure to help for the titanium root to fuse, your dentist will complete a medical history, exam, and take x-rays to check your bone structure. If you do not have adequate bone structure to support an implant, bone grafting may be required before your implant procedure can occur.